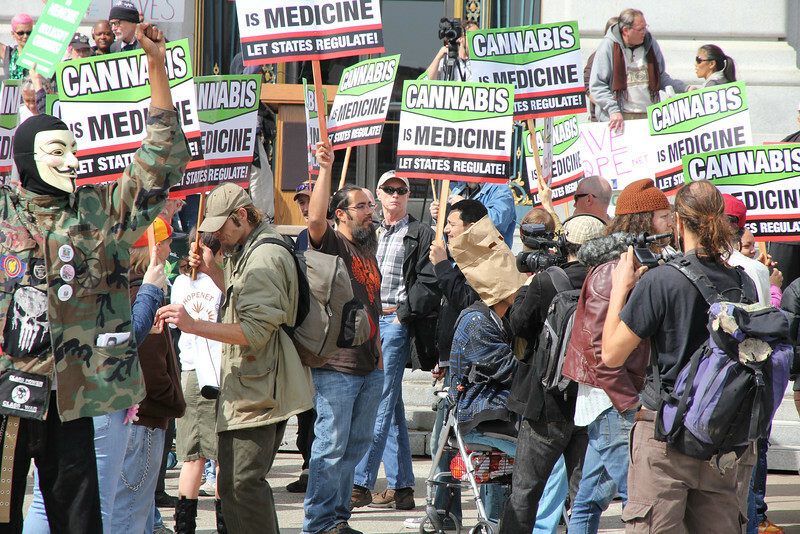 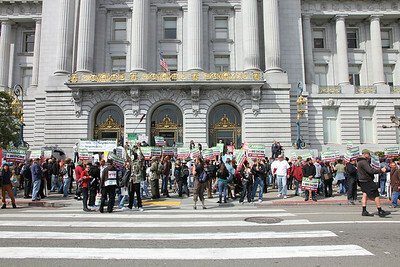 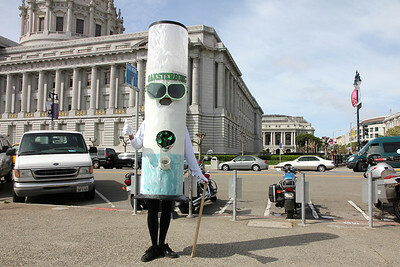 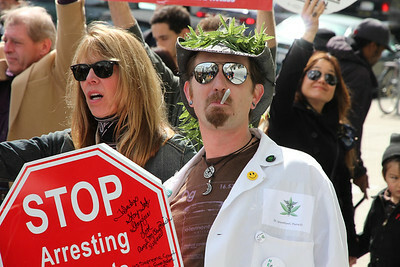 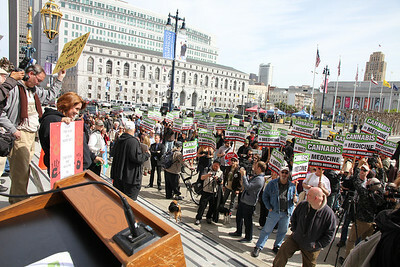 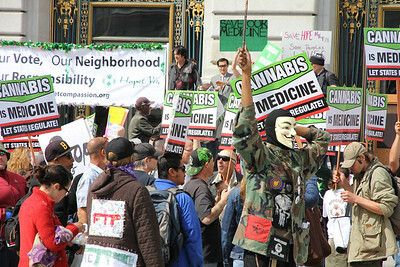 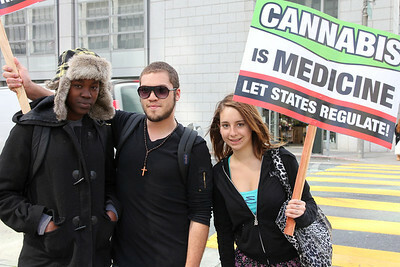 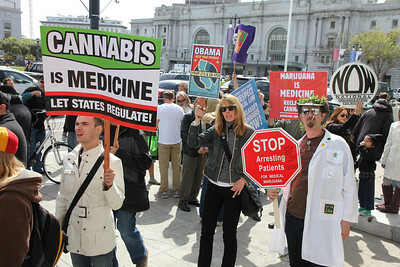 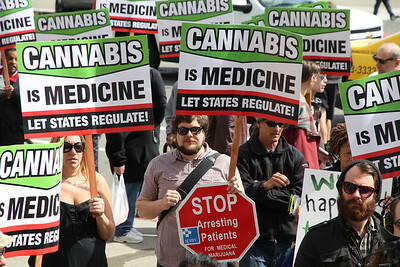 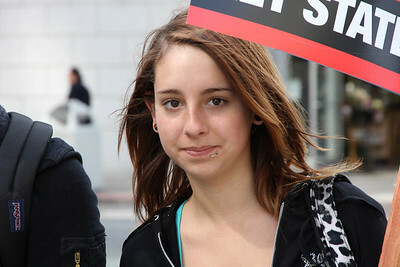 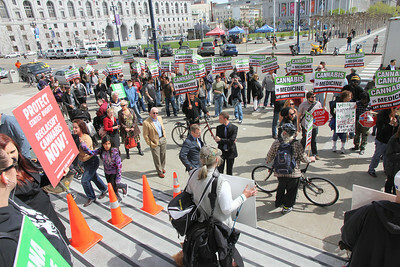 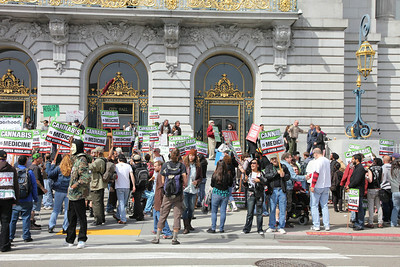 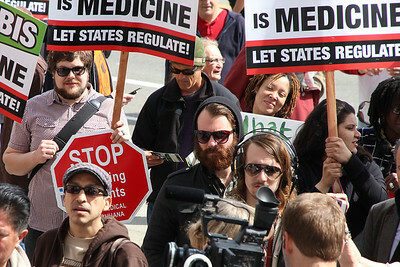 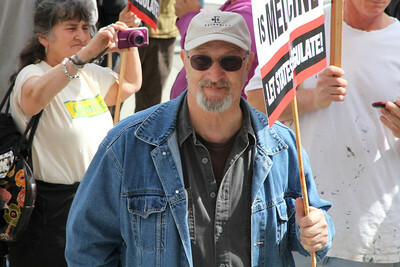 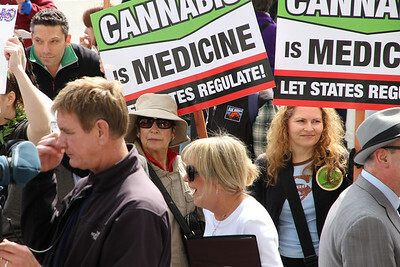 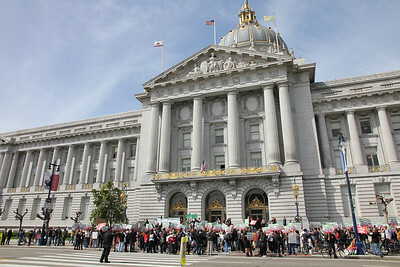 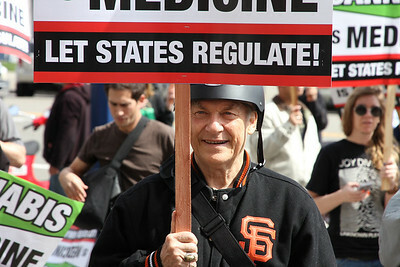 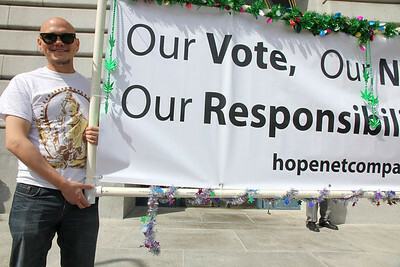 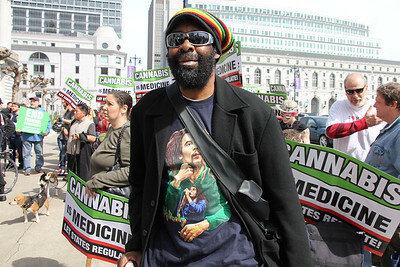 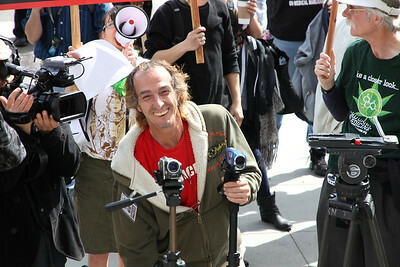 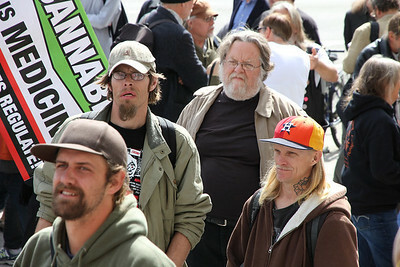 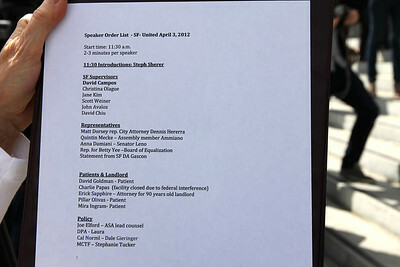 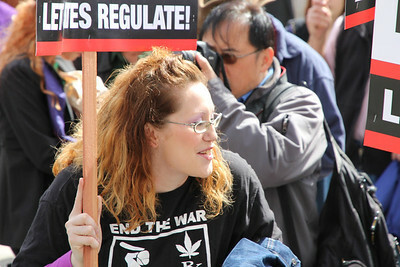 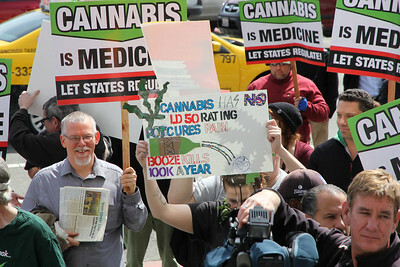 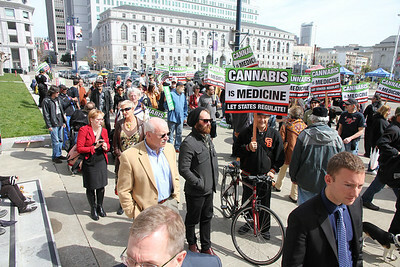 WHAT: Rally to protest the raid on Oaksterdam and the shutdown of medical dispensaries by our federal government. 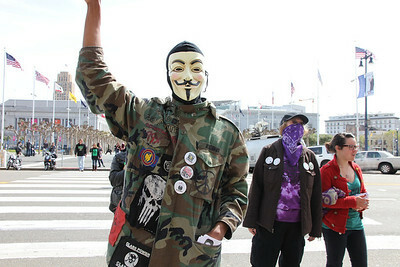 The spirit of anonymous was also present. 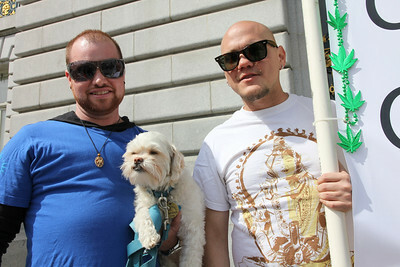 Left to right, Orlon Ryel, Armani and Anakh Sul Rama. 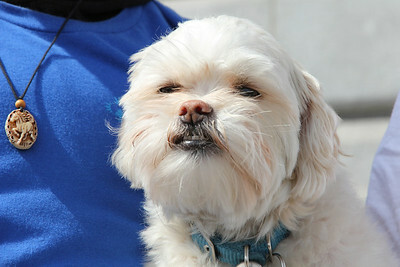 Armani, companion animal of Orlon Ryel.